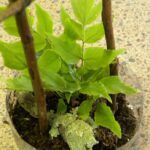 Why make a rainforest terrarium? Because it is an eco system; like a city of plants, animals, dirt, and little creatures like spiders, worms, and bees. Like a neighborhood of Nature; they all live & eat in the same area, each depending on the other. The plants give food to the dirt and create air for all to breath. The dirt is a home for the worm; the worm is a food for the bird. All feed and give home to the animals. Just like you, your family and neighbors. We are part of nature so we are part of the earth’s ecosystem. The rainforests are one of the most important ecosystems for the earth and us. They have no people or homes and live all by themselves untouched and pure jungle. Rainforests help the earth live and so they help us live- we must never let them die and protect them always. A terrarium is like a rainforest; say it like “tur-rar-e-um”. 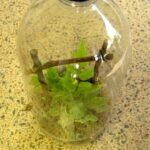 This project is a way to make your own mini, rainforest terrarium for your window of both new items and recycled with the help of the outdoors. Everything you can recycle is a help to the Earth. Your terrarium will keep itself humid and warm like a jungle and will grow with just a little help from you to get it started. You will need plants but first look outside for little bits of bark, pine cone, stones, moss, or twigs. 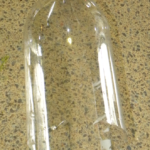 1 clear 2 liter soda bottle-recycling-yay! 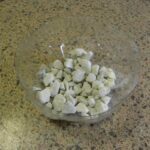 1 cup of gravel or rocks-can use your old fish tank –recycling-yay! 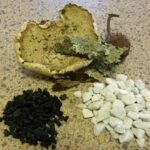 Any outside items you find like bark, stones, etc. 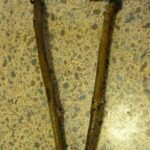 *Make your trellis with the 3 twigs and insert into the dirt to stand up. Put the bottle on and twist the cap on it! Call or email Willow & I if you want us to come to your school or event to teach one of our Cool Green For Kids Projects!